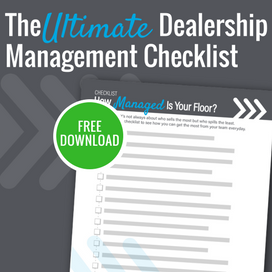 Can your dealership afford an open showroom? Whether you want to believe it or not, an open floor costs you money. When business is great, it’s not noticeable. We all develop bad habits in good times because we can afford to. That time is coming to an end. Here is how that open sales floor that you’ve had for so long is costing you money. When you have salespeople that are free to take as many ups as they can grab and not be held accountable for them, they will miss opportunities. Very few salespeople are in a position to qualify customers on the lot and determine if they can or will buy a vehicle. If that customer says that he/she is not buying today, or the customer is a ‘get-me-done’, which takes plenty of work, you can bet that in an open floor, that salesperson is going to broom that customer and go looking for another up. Now when business is good and there are plenty of ups to go around, no one cares when that happens. But, when traffic slows down, you need salespeople to be held accountable. Every shopper that comes to your dealership cost you money to get them there. When there are fewer customers, your salespeople have to maximize every opportunity, not take any shortcuts, and ‘love the one they’re with.’ Every opportunity has to be maximized. In addition, with slower showroom traffic, your salespeople need to focus more heavily on getting be-backs and appointments in the door. I’ll bet very few salespeople know that the average walk-in closes at a 14% to 17% rate, and be-backs and appointments close at a rate almost three times as high at 45% to 50%! Finally, on an open floor, you really don’t know how many customers are coming to your dealership. The number of customers entered in your CRM can be anywhere from 40% to 70% of your actual traffic. What would it mean to your dealership if you were to track every up that came to your dealership, not just the ones that get entered in the CRM? When salespeople know that the dealership is tracking every up, the quantity and quality of entries in your CRM rises dramatically. This happens at every dealership without fail. Customer expectations continue to climb. They expect a pleasant shopping experience without feeling like salespeople are everywhere waiting to pounce. Or, waiting and waiting and waiting for someone to find a salesperson to help them (how many times per day does someone page “available sales to the showroom” at your dealership?). Making sure that your salespeople don’t take shortcuts, doing a quality walk-around presentation, taking customers on a service walk, early manager introductions, and test drives will always increase your writes ups and your sales. 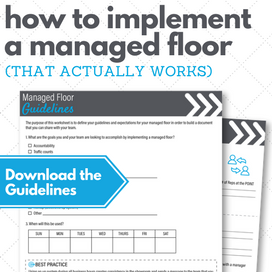 We have built a simple tool to assess how effective your showroom really is. It’s free to use and uses data you should be capturing every day. It’s worth checking out. Below is the formula we use and the link for your access. 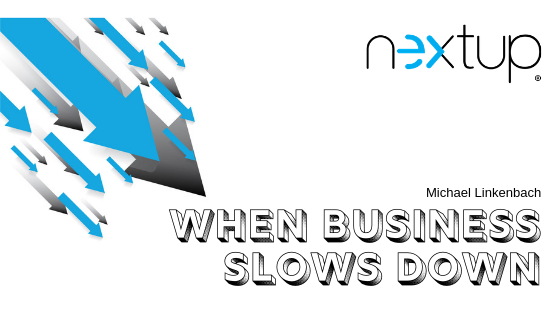 Nextup has the solution for all these problems and more! We make sure that every up gets counted, salespeople slow down, be-backs and appointments increase, and customers have a much better buying experience. All of which leads to more sales. And when things are slow, you need to ensure that dollars are not leaving your lot.